Périgord is crossed by an incredible number of hiking trails. 120 km of marked trails are offered in the canton of Belvès only: See the map. Here are some walks and hikes proposed by the tourist office of Belvès: Walks and hikes. 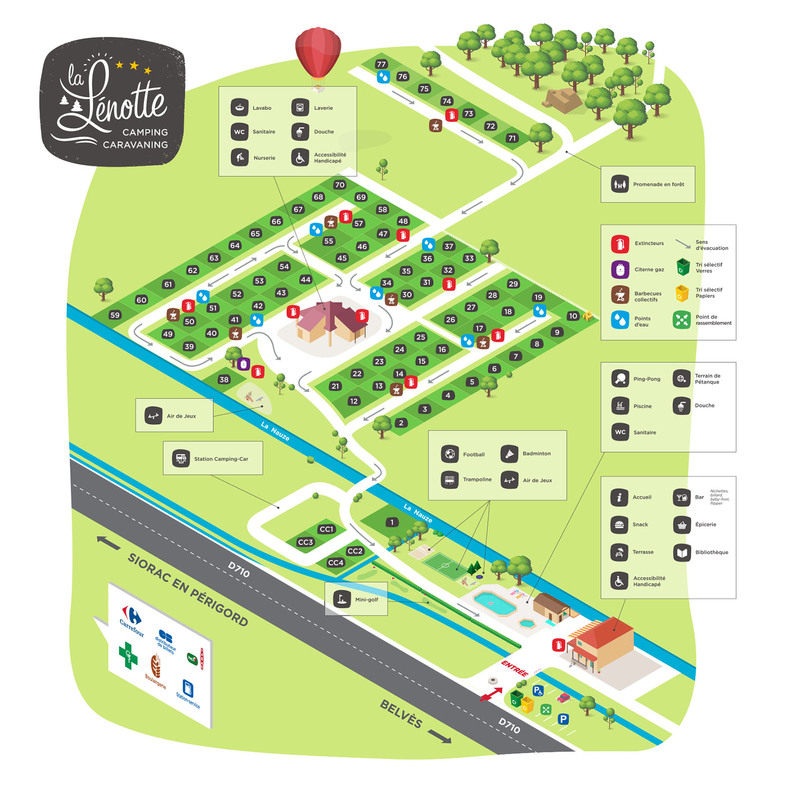 Loops of varying distances pass near the campsite and we are located at the foot of the GR36, one of the most famous hiking trails in France, accessible directly from the forest at the end of the campsite. Every week in July-August, we offer a short hike from the campsite (see animations of the campsite).